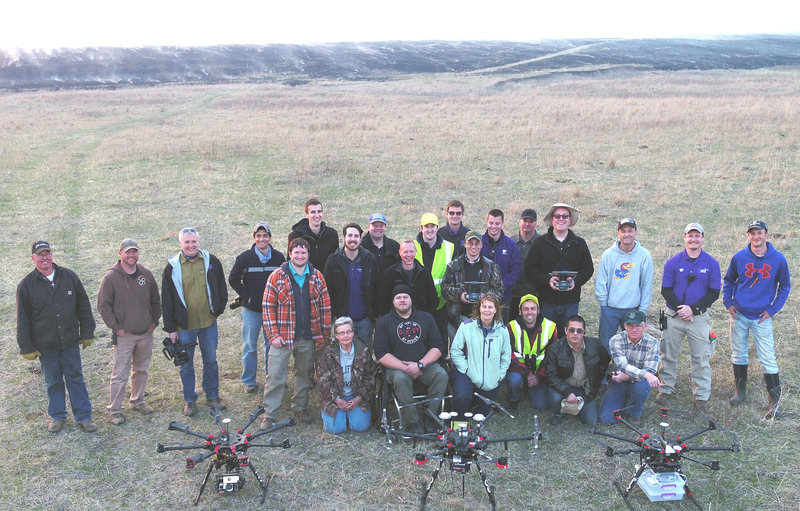 Second smoke sampling event in the Flint Hills using drones. Yang Liu (Jeanne) defended her PhD disertation. Congratulations! 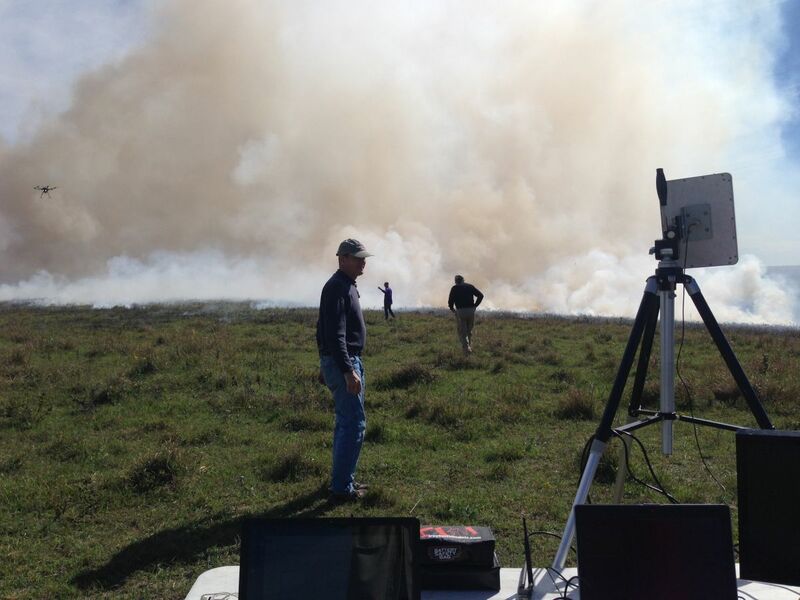 The project "Developing a decision tool to assist management of prescribed fires in the Flint Hills region in order to reduce smoke impact on ambient ozone" are selected to receive a 2018 USDA-Conservation Innovation Grant (CIG) award. Dr. Md Ariful Haque joins our research group as a post-doc research associate. Welcome! Journal publication: Liu, Z. and Liu Y. 2018. Invited review: Mitigation of greenhouse gas emissions from animal production. Greenh. Gases. S. (8):627–638. 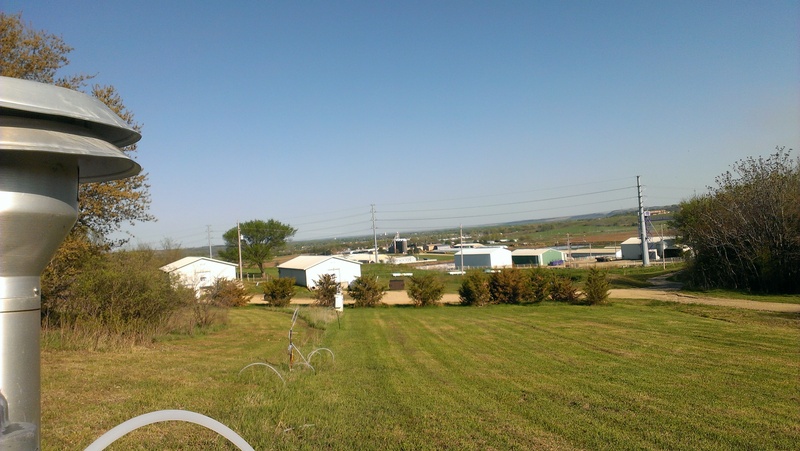 Invited presentation: Impact of prescribed burning in the Flint Hills region. US EPA region 7. 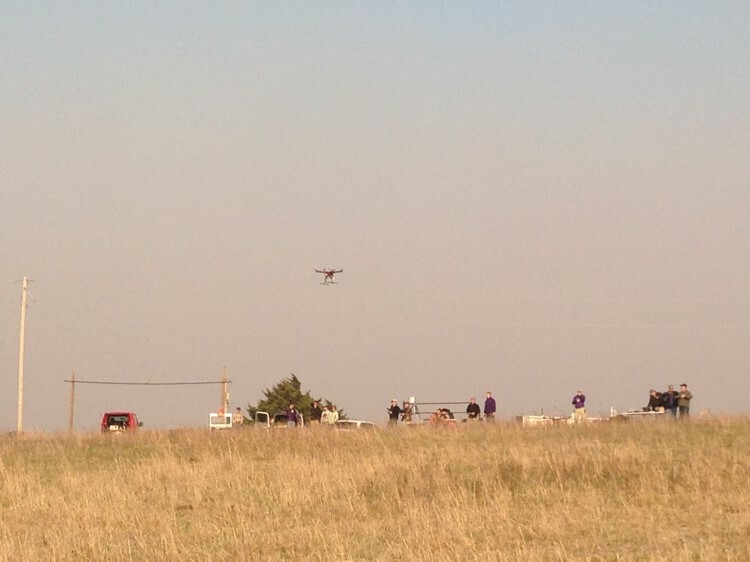 First sampling effort to monitor smoke from prescribed fires in the Flint Hills region using drones, with collaborators from Kansas Department of Health and Environment (KDHE), T&B Systems, and a K-State Polytech team. Prescribed Burning Smoke Management Workshop. Manhattan, KS. Prescribed Burning Smoke Management Workshop. Emporia, KS. 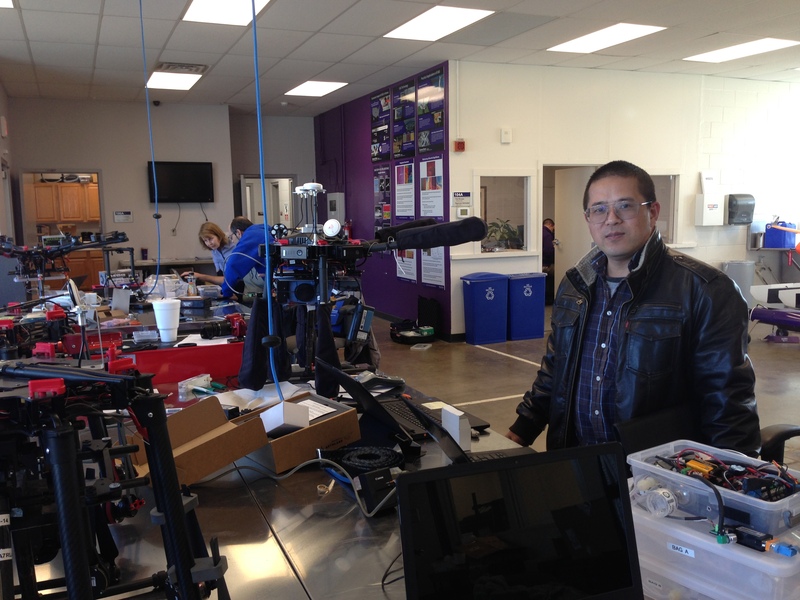 Dr. Zifei Liu visited K-State Polytechnic U.A.S. 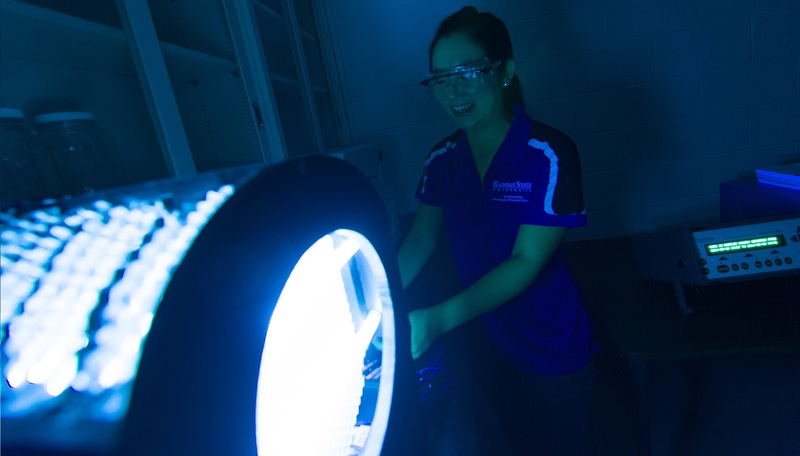 Lab to prepare for smoke sampling event. 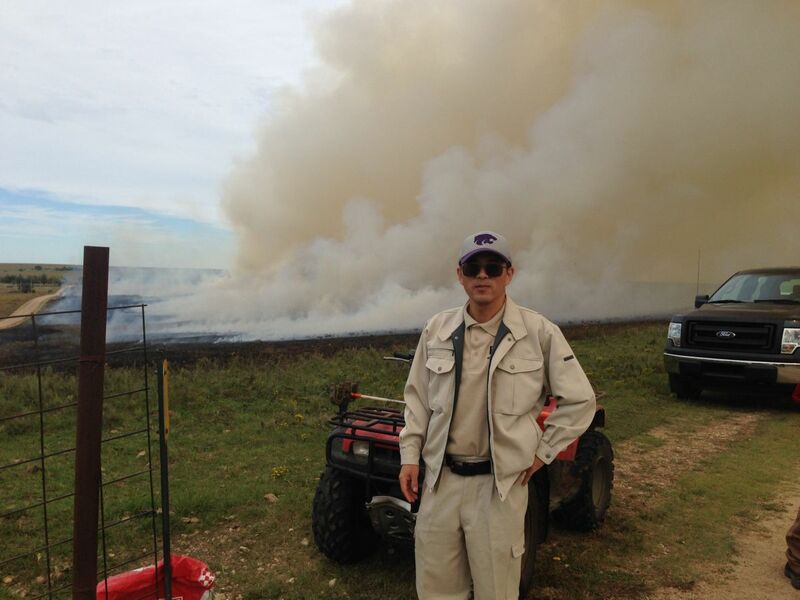 Dr. Zifei Liu was on radio interview for Agriculture Today: Flint Hills smoke management. Journal publication: Liu, Z, Liu, Y., Murphy, J.P., and Maghirang, R. 2018. Contributions of Kansas rangeland burning to ambient O3: analysis of data from 2001 to 2016. Sci. Total Environ. Special issue: Health impact of wildland fire smoke exposure. 618:1024-1031. Extension publication MF3386: "Diet and feed management to reduce gaseous emissions from livestock production: principles and practices." Extension publication MF3387: "Design and management of biofilters for air pollution control in livestock facilities." The project "A meta-analysis of life cycle assessments on environmental footprints of five representative finishing swine diets " are selected for funding by the National Pork Board (NPB17-159). Extension publication MF3367: "National Air Quality Site Assessment Tool (NAQSAT) for livestock producers." Workshop: Smoke Management under New US Ozone and PM Standards. Extension publication MF3358: "How much does Kansas rangeland burning contribute to ambient PM2.5?" Extension publication MF3357: "How much does Kansas rangeland burning contribute to ambient ozone? " 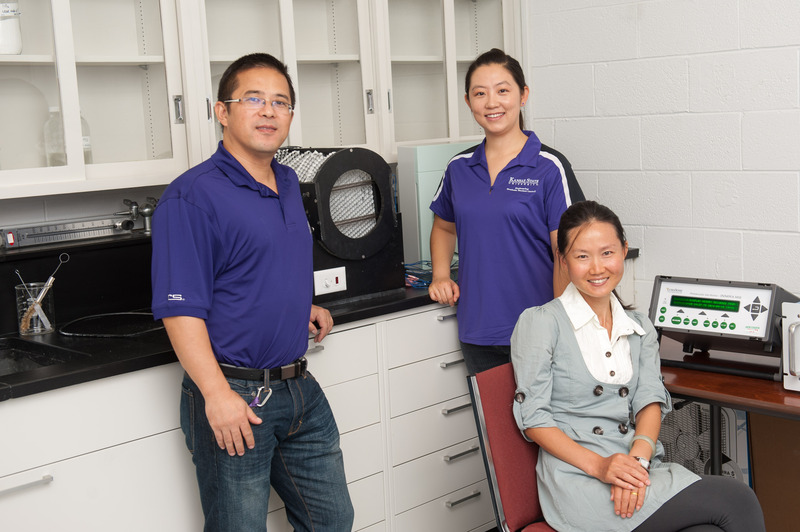 Yang Liu (Jeanne) passed her prelim examination and become a phD candidate. Congratulations! Journal publication: Liu, Z, Y. Liu, J. Murphy, and R. Maghirang. 2017. Ammonia and methane emission factors from cattle operations expressed as losses of dietary nutrients or energy. Agriculture. 7(3),16. Journal publication: Liu, Z, Y. Liu, J. Murphy, and R. Maghirang. 2017. Estimating ambient ozone effect of Kansas rangeland burning with receptor modeling and regression analysis. Environments. (4)14. Journal publication: Liu, Z, Y. Liu, X. Shi. J. Murphy, and R. Maghirang. 2017. Variations of ammonia emissions from cattle operations: Effects of temperature and dietary crude protein content. Trans. ASABE. (60)1. The 2nd International Smoke Symposium in Long Beach, California. Journal publication: Health and environmental impacts of smoke from vegetation fires: a review. Journal of Environmental Protection. 7, 1860-1885. 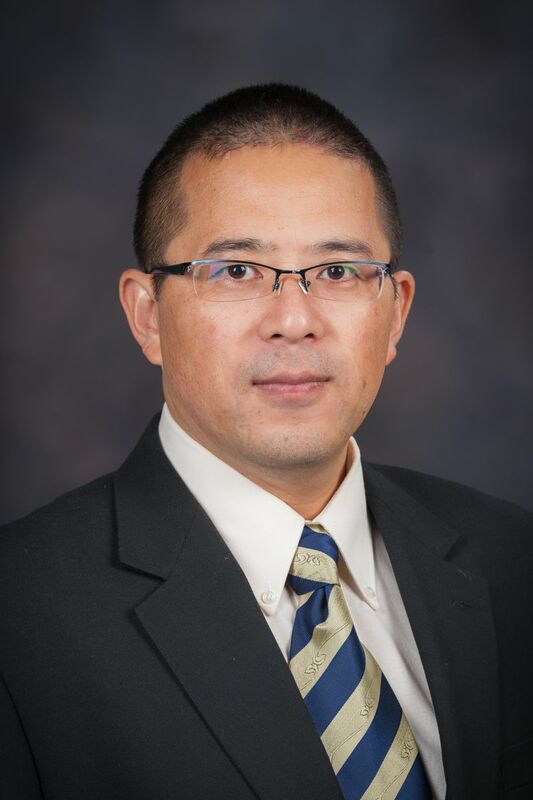 Dr. Zifei Liu was awarded as Outstanding Reviewer for the PAFS division at the ASABE Annual International Meeting, July 17-20, 2016 in Orlando, Florida. Journal publication: Liu, Z, Y. Liu, R. Maghirang, D. Delvin, C. Blocksome. 2016. Estimate contributions of prescribed rangeland burning in Kansas to ambient PM2.5 through source apportionment with the Unmix receptor model. Trans. ASABE. 59(5). 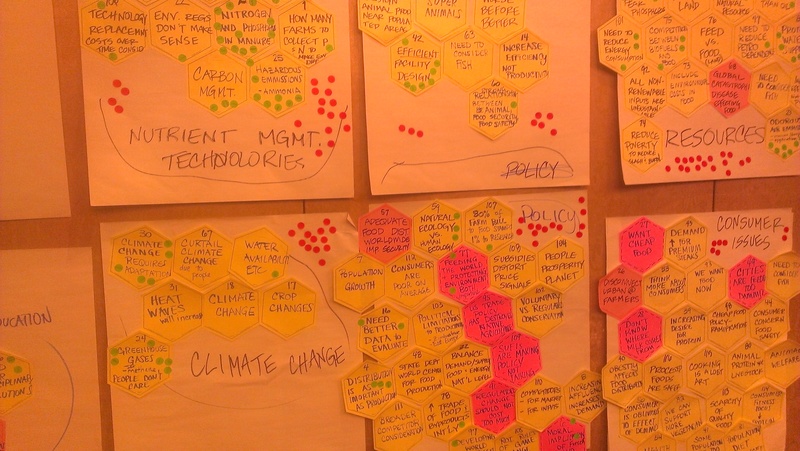 Workshop: Quantifying the contributions of pasture burning on air quality. Dr. Zifei Liu was on radio interview for Agriculture Today: Ammonia and methane emissions from beef and dairy operations. 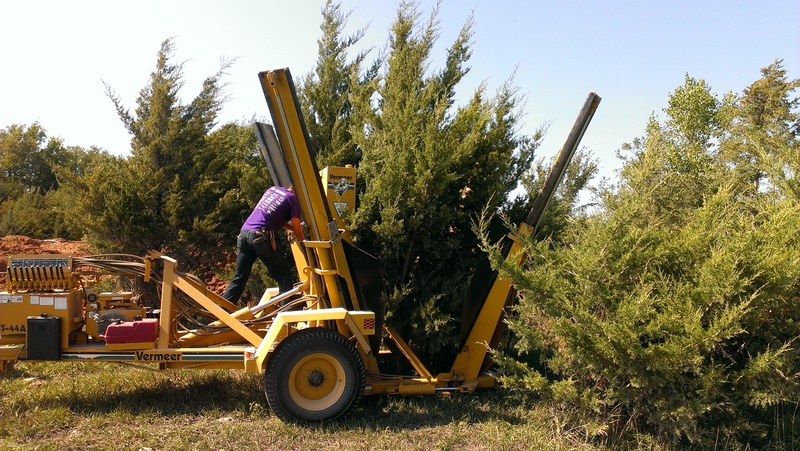 Journal publication: Liu, Z., W. Powers, and J. Harmon. 2016. Estimating ventilation rates of animal houses through CO2 balance. Trans. ASABE. 59(1). Workshop: Flint Hills pasture burning: a challenge for air quality; our strategies and opportunities. Extension publication MF3185: "Gas emissions from beef and dairy operations." Extension publication MF3184: "Anaerobic digestion of livestock manure: feasibility and factors to consider." Extension publication MF3180: "Carbon footprint of livestock production." Xiuhuan Shi joins our research group as a research assistant. Welcome! Junqin Wang (June) defended her Master thesis. Congratulations! 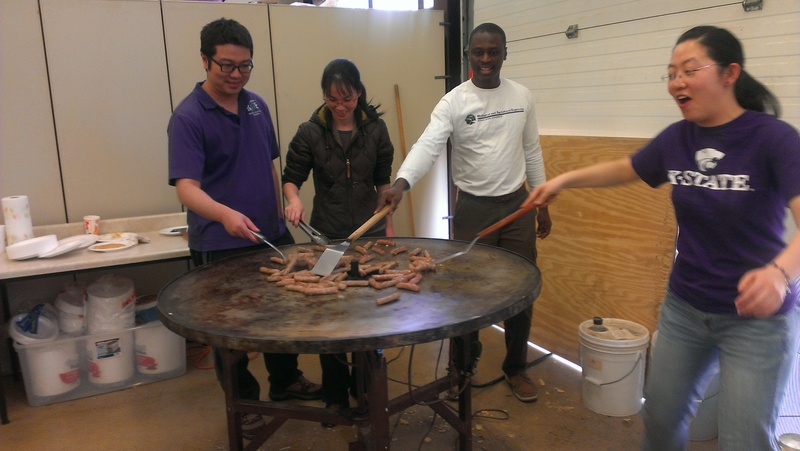 Pancake feed for Engineering Open House! Journal publication: Liu, Z., W. Powers, and S. Mukhtar. 2014. A review of practices and technologies for odor control in swine production facilities. Appl. Eng. Agric. 30(3):477-492. Journal publication: Liu, Z. and W. Powers. 2013. Greenhouse gases emissions from multi-species animal operations and the potential diet effect. Trans. ASABE. 57(1). Extension publication MF2918: "Technologies for odor and air emission control in swine production facilities". Extension publication MF3121: "Understanding Air Quality Concerns of Prescribed Range Burning in Kansas". Journal publication: Liu, Z., W. Powers, J. Murphy, and R. Maghirang. 2013. Ammonia and hydrogen sulfide emissions from swine production facilities in North America: a meta-analysis. J. Anim. Sci. 92: 1-10. The Pork Checkoff Swine Education In-Service, Atlanta, GA.
Yang Liu (Jeanne) joined our research group as a graduate research assistant. Welcome! Journal publication: Liu, Z., W. Powers, and H. Liu. 2013. Greenhouse Gas Emissions from Swine Operations: Evaluation of the IPCC Approaches through Meta-analysis. J. Anim. Sci. 91: 4107-4032. S-1032 multi-state project annual meeting, Worshop on system thinking, Washington DC. Presented "Meta-Analysis of H2S, NH3, VOCs, PM10 and PM2.5 Emissions from Swine Production Facilities in North America " in ASABE annual conference, Kansas City, KS. Air and Waste Management Association’s 106th Annual Conference& Exhibition, Chicago, IL. Junqin Wang (June) joined our research group as a graduate research assistant. Welcome! 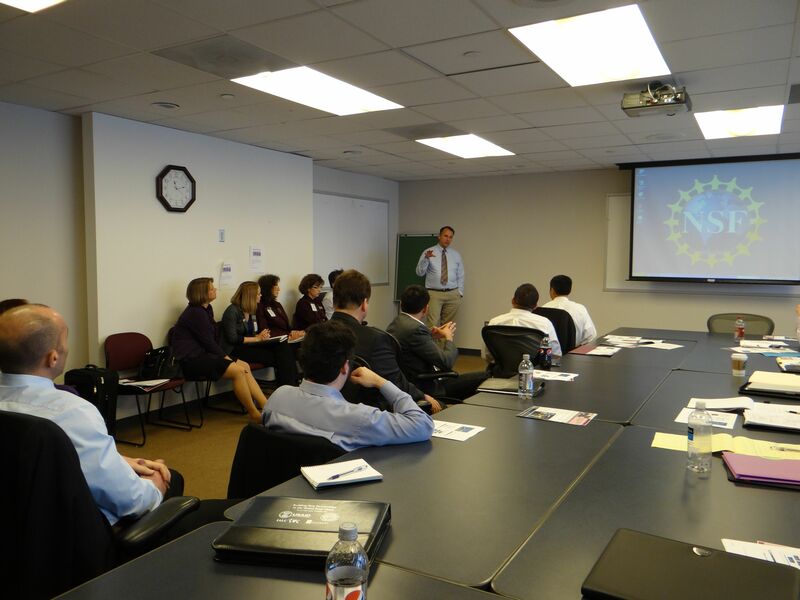 K-State faculty group visit NSF, USDA, and NIH at Washington DC. "From Waste to Worth" national conference, Denver, CO.
Two new projects are funded by National Pork Board. NPB13-088: "Mitigation of Air Emissions from Swine Buildings through the Photocatalytic Technology using UV/TiO2". NPB13-084: "Effectiveness of Vegetative Environmental Buffers to Reduce Swine Facility Emissions". The Beef Checkoff sustainability research summit, Denver, CO.
National Science Foundation Day, at University of Nebraska-Lincoln. “Animal Agriculture and Climate Change” project advisory group meeting in Bryan/College Station, TX. 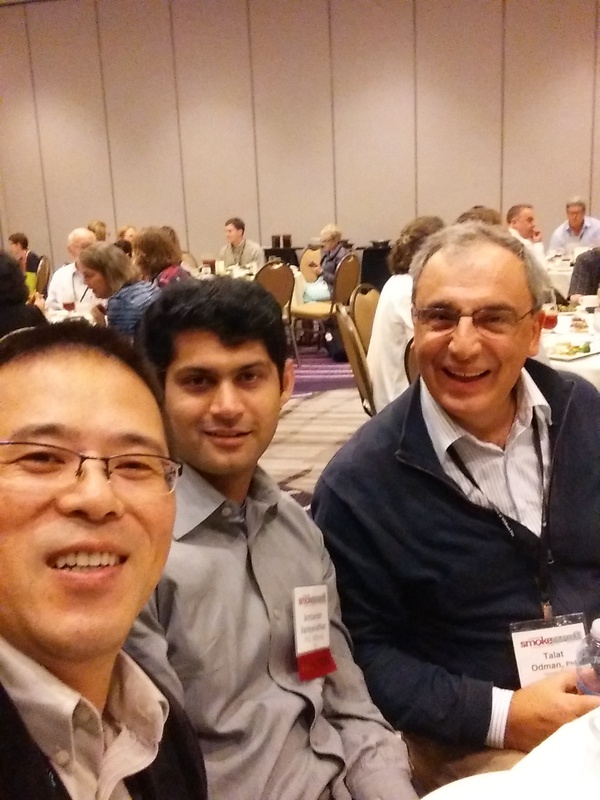 KSRE annual conference, Manhattan, KS. Presented "Air emission from swine production" in the Pork Checkoff Swine Education In-Service, Cincinnati, OH.